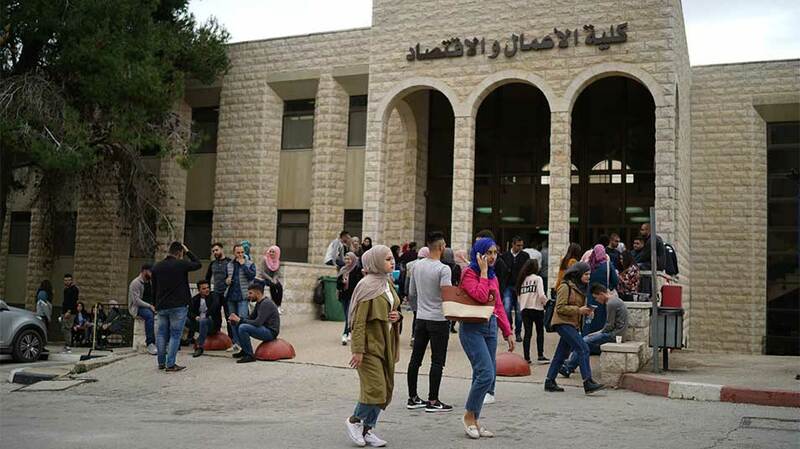 The Spring Semester of the 2017/2018 academic year has commenced at Birzeit University, with over 300 new students enrolling in the university’s various bachelor’s and master’s academic programs, spread across eight different faculties. With the new enrollees, the total number of students at Birzeit University now totals over 13,000. Dr. Abuhijleh also expressed how proud Birzeit University is to host the Palestine Techno Park on 20 dunams of the university’s land. The park serves to bolster economic cooperation between local and international firms, provide facilities and a suitable creative space for partner businesses – as well as innovation and research and development centers – to incentivize entrepreneurship, and build technological capacities. محاضرة لدائرة العلوم السياسية عن "الانتخابات الإسرائيلية وتداعياتها على القضية الفلسطينية"